Drive to Design: "Rose-Hulman is where theory meets practice" says mechanical engineering student Thad Hughes, who is designing the drivetrain system and various actuators for the Grand Prix Engineering team race car for the 2017 competition season. Sophomore mechanical engineering student Thad Hughes doesn't just love engineering, he "lives and breathes" it, in his own words. Outside of Rose-Hulman, Hughes takes that passion to his work in 4-H, where his advocacy of science, technology, engineering, and math (STEM) has earned him the National 4-H Council's 2016 Youth in Action Award and the role of national STEM spokesman for the organization. "I get to inspire more great minds to create innovations and improvements to the world around them, and encourage them to lead meaningful, impactful lives," says Hughes, who grew up on a farm near Shirley, Ill. It was in this central Illinois community that Hughes engaged with more than 6,000 youth through talks, demonstrations and workshops. For four years, he served as a mentor for FIRST Lego League and the Illinois State Robotics Competition. Through the University of Illinois Cooperative Extension service, he also developed the Spinning Robots afterschool program in which he taught 50 middle school students the basics of building a robot. During his Rose-Hulman freshman year last spring, he was a featured speaker in the 4-H Congressional Breakfast in the nation's capital and this year he appeared on PBS's "American Graduate Day" program, which highlighted some of the nation's top high school graduates. "(Thad) not only has a bright future ahead of him in the field of engineering, but also has already established himself as a leader and a role model for other youth with an interest in STEM," says Peter Gulla, senior vice president of marketing for Hughes Network Systems, which sponsors the 4-H Youth in Action Award. 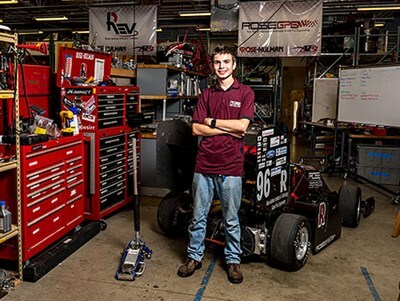 Hughes' STEM interests have continued at Rose-Hulman, where he is leading the development of mechanical components for the Rose-Hulman Grand Prix Engineering race team in the Branam Innovation Center (BIC). He also is a tutor for fellow sophomore classmates and is the opinions editor of the student newspaper. "Rose-Hulman, and especially the BIC, is where theory meets practice," says Hughes. "After doing FIRST Robotics for four years, I knew classroom education isn't enough. 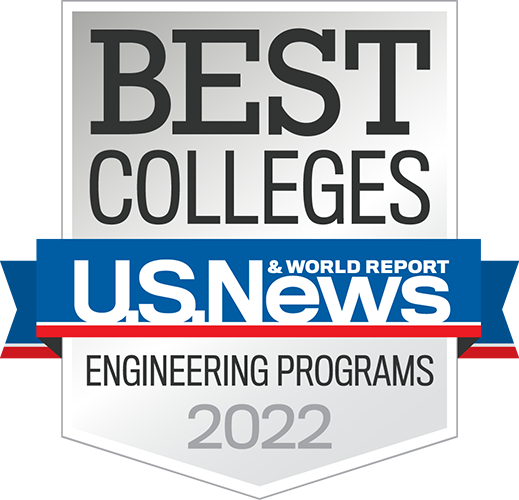 Solidifying learning happens outside the classroom, and Rose-Hulman understands this. Having peers who already understand and respect the importance of engineering makes the environment that much better. "I like being surrounded by and working with some of the world's greatest up-and-coming engineers, scientists, and mathematicians to make awesome projects," he says. "Extracurricular technical activities make academic life easier. When you can make connections between what's being taught in class and things you've worked on, everything makes 10 times more sense. Academics don't come before extracurricular activities, they go hand-in-hand."